As winter approaches, it’s time to begin preparing for the colder weather. Many families enjoy a warm fire on chilly nights, so it’s important to make sure your fireplace is ready for the first fire of the season. To prepare your fireplace for use, follow these four important steps. You likely used your fireplace last winter to keep your home and your family warm on cold nights. During the last use of your fireplace, you probably didn’t clean out the debris from that fire. Removing the debris from a previous fire is an important way to prepare your fireplace for use. Ashes and log remnants from a previous fire should be removed. Your fireplace needs to be sealed tight to prevent the smoke from escaping through any place other than the chimney. Since your firebox will be containing a fire that burns at high temperatures, it needs to be in good condition to be safe. After you’ve cleaned out the debris and had the chimney swept, you should give the firebox portion of your fireplace a full inspection. Check for cracked bricks or missing patches of mortar. These are issues that should be repaired to prepare your fireplace for use. If you don’t trust your own eyes to find damages yourself, hire a professional home inspector. 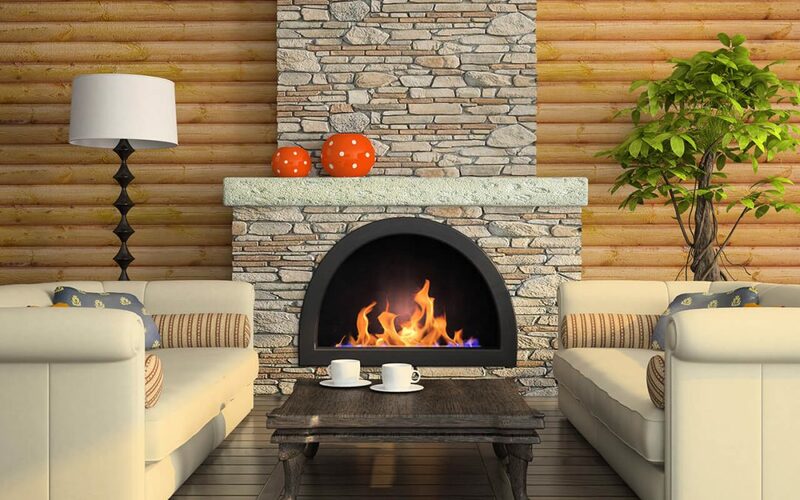 One of the most important aspects of your fireplace is its chimney. A chimney’s purpose is to provide ventilation so that the smoke from the fireplace safely exits your home. If your chimney is dirty or clogged, it will prevent smoke from ventilating properly. This means that the smoke will billow back into your home, which is a dangerous scenario for your family. To prevent any safety issues, have your chimney swept to prepare your fireplace for use. You can find a list of certified chimney sweeps on the Chimney Safety Institute of America website. After your chimney has been swept by a professional, there’s still one more step to take before lighting up some logs in your fireplace. Your chimney is an opening into your home. Like any other opening into your home, it can attract animals, birds, and squirrels who are trying to get warm. This can cause chimney blockages and can prove fatal to the animals and their nests. To keep your chimney from being invaded by critters, install a cap on the top of your chimney to prepare your fireplace for use. A wire mesh cap prevents intruders while providing maximum airflow for the smoke from your fire. 360 Inspections provides home inspection services for the Central Valley and the Bay Area in California. Contact us to book an appointment.